Jacob Rothschild, chairman of RIT Capital Partners and Advisory Board member of Blackstone. He also serves as Honorary President of the Institute for Jewish Policy Research. As often happens in mysterious "accidents," the unusual disappearance of flight MH 370 Malaysia Airlines - whose various explanations failed to fully satisfy anyone, least of the Chinese persons affected - has given rise to innumerable speculations, some, rather wild and disturbing. While the war of sanctions by the United States and the European Union against Vladimir Putin was raging on, in a compelling article Russia Today wrote that four days after the disappearance of flight MH 370, a patent for a semiconductor was approved by the U.S. patent Office . 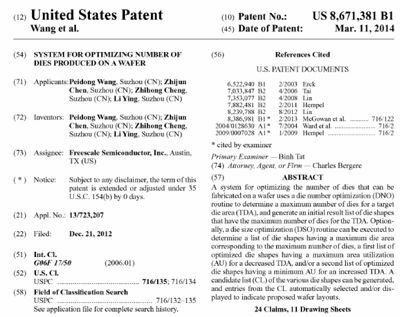 Has a patent war been unleashed? The patent was shared among five principal holders, owning 20 percent each: Freescale Semiconductor Company, located in Austin, Texas, with the other four holders being Chinese nationals hailing from the Chinese city of Suzhou, all of whom worked for the company and were aboard the plane, along with 16 other employees of this same company. The Russian outlet pointed out that if any patent holder dies, the other owners would share equally the dividends of the deceased, provided that the will is not contested. With the four Chinese patent-holders now missing and/or killed, this now leaves 100 percent ownership of the patent in the hands of the Texas-based Freescale Semiconductor Company, which, in turn, is partially owned by the shadowy Blackstone Group, a New York-based Private Equity-Investment Banking firm, owned by Israeli-British banker Jacob Rothschild . The inventors and the applicants were the four missing Chinese and the recipient is none other than Freescale Semiconductor. What luck! 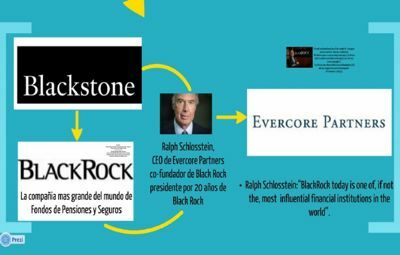 Emphasis is laid on the invisible identity of Blackstone, its interconnection with BlackRock and its partnership with Evercore Partnership which, coincidentally, is behind the privatization of PEMEX (Mexican Petroleum Company) . It emerges that Blackstone begot BlackRock, which is run by double U.S.-Israeli national Larry Fink . Beyond the interconnectivity at the upper echelons between, on the one hand, Blackstone, BlackRock, Rothschild, George Soros, Scotiabank, Evercore Partnership, Protego, and, on the other hand, Kissinger Associates and the controversial AIG insurance group, whose president is the US-Israeli Maurice Hank Greenberg, the corporate identity of Freescale Semiconductor warrants close scrutiny. Also intriguing is that among the 239 passengers, 20 were employees of the Pentagon, in addition to the fact that four of the passengers were using dubious passports. Beyond the inevitable speculations, what is relevant is that these 20 Pentagon employees were likely well-versed in the art of electronic warfare, such as the avoidance of detection by military radar systems . A curious fact as well is that 20 of the missing passengers aboard flight 370 are employees of Freescale Semiconductor, 12 originating from Malaysia and 8 from China. Freescale Semiconductor boasts that its devices have a wide-range of applications in communications on the battlefield, avionics, missile guidance, electronic warfare and identification of friend or foe. The controversial Texas company at issue is one of the first semiconductor of its kind in the world, having begun as a division of Motorola, from which it and was then acquired in 2006 by Blackstone, the Carlyle Group and TPG Sovereign Capital. 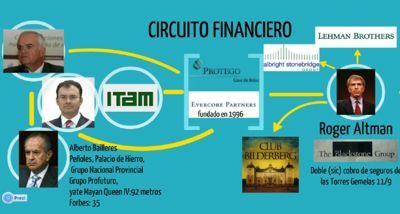 The Carlyle Group embodies the dynastic nepotism of the Bush family and cronies Frank Carlucci (former National Security Adviser and former Pentagon Secretary) and former British Prime Minister John Major , whose representative in Mexico is the controversial Luis Téllez Kuenzler, now in charge of the stock exchange, where a number of odd share price interferences have taken place. TPG Capital is a powerful investment firm based in Fort Worth, Texas chaired by Israeli-American David Bonderman, whose extravagant excesses include paying US$7M to the Rolling Stones to celebrate his 60th birthday, in 2002. Freescale Semiconductor specializes in electronic warfare and stealth (“cloak") technology, using strategies of electronic countermeasures (ECM) applied to radars: 1) radar interference; 2) changing targets and; 3) changing the electric power properties of the air. According to The Daily Beast, an Israeli attack on Iran would go one better than air strikes and probably let loose an electronic war against Iran’s entire electrical system; the Internet, mobile and cellular network, and emergency frequencies for firemen and policemen. The The Daily Beast further asserts that Israel has developed a weapon capable of mimicking cellular maintenance signals, which effectively stops the transmissions . In the past decade, Israel has amassed a wide range of high-tech weapons worth billions of dollars that would enable it to jam, blind and deafen Tehran’s defenses, in the event of a preemptive air strike. Better yet: there is a new stealth technology that renders the aircraft invisible to radar and hides it from the human eye, while the high-tech camouflage can create electromagnetic fields, as discussed in military.com . China has accused the U.S. for an escalation in hacking attacks , at the same time as Beijing and Washington are each stepping up the arms race in cloak technology for making planes invisible. 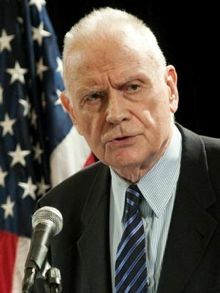 Lee Hamilton, chairman of the Wilson Center. This former Democratic Congressman rescued Ronald Reagan from political disaster during the Iran-Contra scandal. In 2000, he contributed to forging the colonial concept of "responsibility to protect". He co-chaired the Presidential Commission of Inquiry on September 11 that diverted the attention away from the coup focusing only on the attacks. In 2006, he co-chaired the Baker-Hamilton Commission, which had decided on a military halt in the Middle East. The powerful British military company BAE Systems - linked with the NSA, DHS and the ominous Wilson Center and implicated in the stinking Al-Yamamah scandal - owns the Swedish-founded Adaptiv Program, another firm specializing in cloaking technology designed to hide motor vehicles, extending to boats and helicopters. Should we see behind the black box of flight MH 370 the machinations of the dismal Blackstone / Rothschild BlackRock financial duo?